From the many inspiring anecdotes, I came across in my conversation with Mr. Giridhar Kini, Chief General Manager at SBI Wealth, this particular one resonated with me on a personal level. As an individual who believes in coming through on my word, be it my personal or professional life, I know the importance of commitment. When I first came across VA Ambition, I immediately thought of everyone in my closest network who I could contact to reach a dignitary. The very first thing I did was to speak with my father who works as a senior consultant at TCS if he knew anyone. 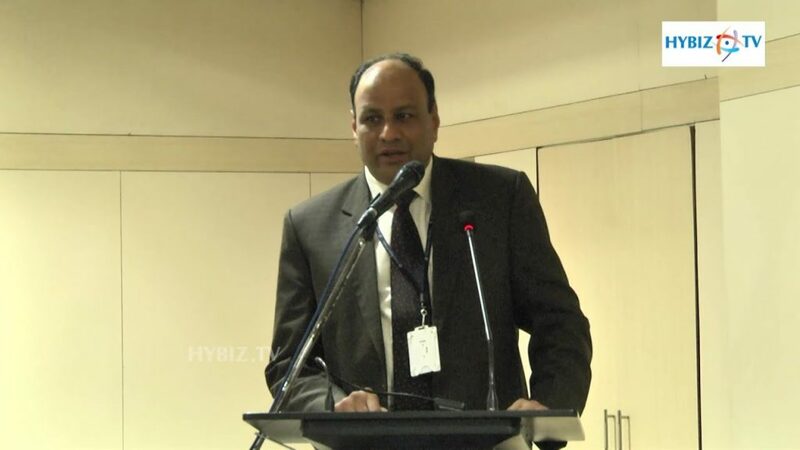 He had previously worked at State Bank of India for 25 years and had an extensive network there. Luckily for me, Mr. Kini was not only my father’s colleague at State Bank but also his batch mate, making it easier for me to reach him. In this case, SBI doesn’t have a Vice President post, however, a Chief General Manager is an equivalent for the same. Within five minutes, my father spoke to him and asked me to mail him a questionnaire so he could prepare his answers. An hour later, he called my father back with his answers ready. My father handed me the phone and we got talking. Q. How did you decide to pursue this line of career (BFSI sector)? Basically, I come from a family full of bankers. A banking legacy, you could say. I was born and brought up in Mangalore and back in the 80s, banking was considered a dream job. It had job security, and getting a job in State Bank of India was considered very good. BFSI sector is evergreen, according to me. There are multiple opportunities in multiple areas. There’s a lot of diversity in terms of work as well – from Client servicing to core banking solutions, and with technology, we have only developed further. I started from the bottom and worked my way up the ladder, from AGM to DGM and now CGM. I control over 2000 branches under me. This career has given me a sense of jurisdiction, leadership, and of course, vast exposure. Q. How much importance would you give to a potential employee’s culture fit into the company? In a company like SBI that belongs to the services sector, we deal with internal and external stakeholders. For me, when I’m recruiting, culture fit is one of the most important criteria to see if they can handle both stakeholders well. They need to be a team player from day one. While we groom them once they join the organization, I expect individuals who’ll be joining my team to have the 3 Ps – Persuasiveness, Punctuality, and (Being) Pleasant. Not an incident per se, but I believe the one major learning I got in college was from my Accounts and Income Tax professor, Mr. P M Murlidharan who always told me to “excel in whatever I do”. Being a perfectionist is a trait that very few people actually follow in their real lives, and this learning inculcated in me by my professor has helped me achieve many-a-milestones in my professional life, for sure. I also give him credit for nurturing my leadership skills as he always pushed me out of my comfort zone and told me to take charge. Q. One passion of yours from your personal life that helps you become better at your mainline career? I believe my love for staying up to date with current affairs and in-the-know helps me stay relevant even in my professional life. I believe people who are well-read definitely have a better scope for being good conversationalists and have an edge over the rest. It makes them stand out. I believe the biggest attribute I look for is how that individual will contribute to making my team better. As I mentioned earlier, we have a lot of stakeholders in the company and it’s crucial for our employees to have a sense of belonging to the team in order for them to perform well. Even right now when we were recruiting, we had a lot of people coming from the private sector and wanted to have a career in an esteemed brand like SBI. We looked for how well they will contribute and their level of commitment to the team and the project. After all, words lead to planning, commitment leads to action. Q. Finally, how much importance would you give to work-life balance for yourself and your subordinates? There’s no doubt about the fact that it’s extremely important. Not just in letter, but in spirit as well. Having said this, the idea should have a structured approach. For instance, I try to promote an environment amongst my teams where employees are expected to come into the office on time (punctuality), finish their work, and leave on time as well. We have flexible working hours and on the weekends I encourage my teams to spend time with their families (unless of course, there is ad-hoc work). It all boils down to punctuality, productivity and their level of commitment to the work and the organization. This fruitful conversation with Mr. Kini made me realise the importance of time. After all, it’s the most precious thing we spend. I believe he made it to where he is today purely on the basis of a structured approach, with a focused dedication towards his goals. He also elaborated on the importance of being a team player, especially in an organization like SBI where so many stakeholders are involved. All in all, those were 15 very productive minutes of my time spent in conversation with an inspiring individual. Devika Poduval An aspiring marketer with a keen eye for detail, I thrive on stories of individuals from every walk of life. Learning is a daily, never-ending process for me, and I believe in the power of words to bring about a change. Currently, I'm pursuing my Post Graduate Program in Business from SDA Bocconi Asia Center, the only offshore campus of SDA Bocconi, Italy.